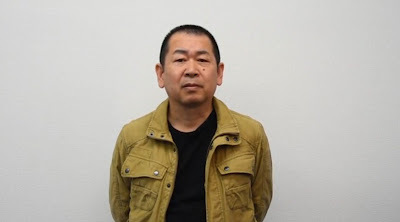 The characters of Fukuhara-san, Guizhang and Ren are certainly some of the most memorable characters in the first two Shenmue games. 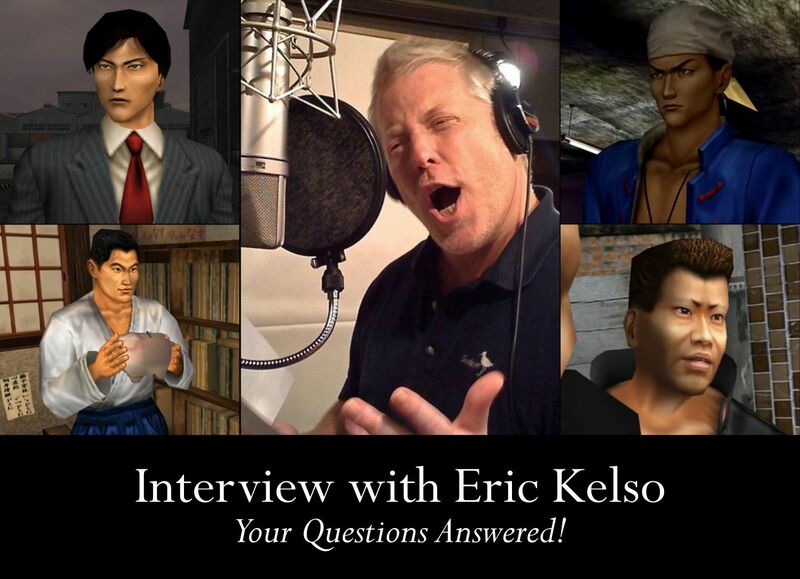 I had the pleasure of interviewing the actor behind the English-language voices of all three of these Shenmue characters, voice talent Eric Kelso. As well as voicing [from left] Guizhang, Ren and Fuku-san, Eric also voiced a number of minor characters in Shenmue. One of his other lesser-known characters is Nagashima, one of the pair of thugs that Ryo runs into on Dobuita Street. *Correction: Nagashima was voiced by Dario Toda; Eric also voiced some of the security guards at the harbor. Questions for Eric were gathered beforehand from all over the Shenmue community, including through blogs, fan sites, Facebook and Twitter. Although not every question could be covered, the majority of them were able to be asked. The name of the person / people who suggested the question is noted above alongside each question. The full interview transcription starts below. As you will see, Eric is a fan of the Shenmue series and very supportive of the fan community, and it was a really fun interview to do. Plus, following the transcript, listen to an audio compilation of a selection of Eric's answers from the interview. Presenting a second teaser for our upcoming interview, again voiced by Eric himself - the Fuku-san edition! 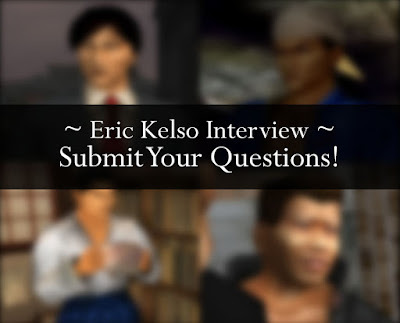 The interview with voice talent Eric Kelso (Ren / Guizhang / Fuku-san in Shenmue) will be posted up on phantomriverstone.com within the next few days. I had a fantastic interview session with voice talent Eric Kelso, who plays Ren, Guizhang, Fuku-san in Shenmue. We covered a good number of the questions gathered from everyone's submissions earlier, which I'm really happy about. The transcript is being worked on and should be posted up here on the blog within the next few days. In the meantime, check out this awesome promo / teaser in the voice of Ren that Eric specially recorded for us! 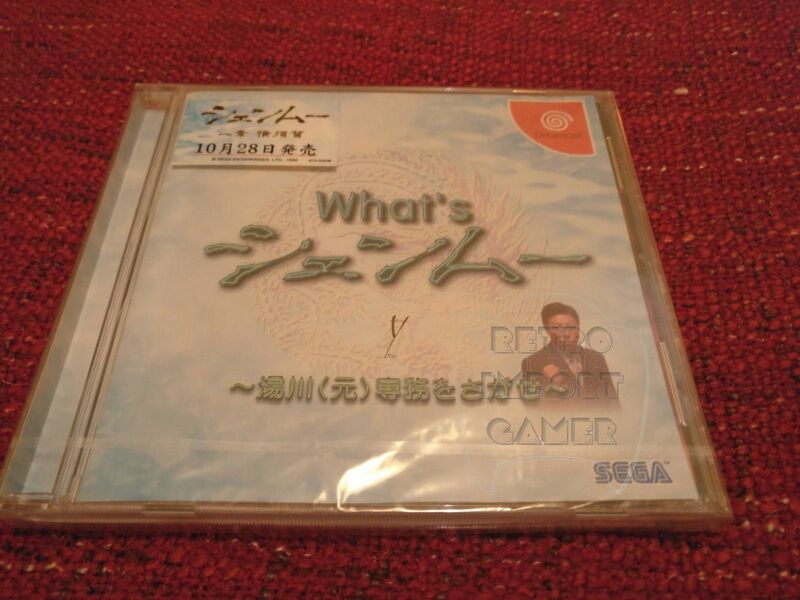 "What's Shenmue" is the name of a Shenmue demo that was distributed prior to the release of the full game in 1999. (Note, this is not to be confused with the promotional video tape of the same name that introduced various features of the game). This special demo was not for sale, but could be obtained in Japan prior to the release of Shenmue when purchasing a Dreamcast console or Dreamcast software from shops. There is also a "Famitsu" edition (which is now very rarely seen) that was given away to a limited number of Famitsu Weekly magazine readers, which is identical in content but has an orange front cover slip rather than a blue one. 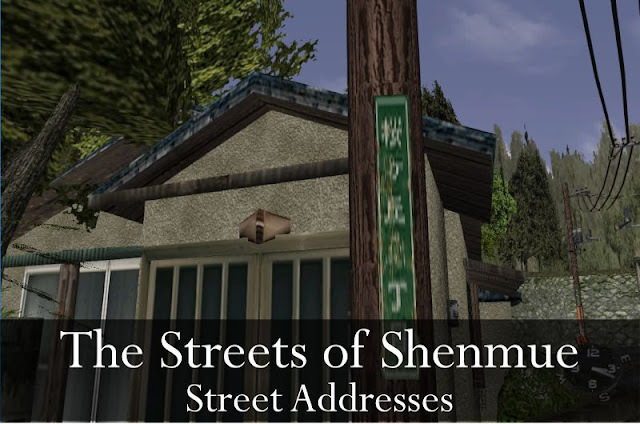 Although there used copies of What's Shenmue are not uncommon to find listed on Ebay, sealed copies are harder to come by and demand a much higher price. Current asking prices for a sealed blue-cover What's Shenmue fall in the £50 to £83 range on Ebay, once shipping has been added in - almost all originate from Japan. (I did find one listed cheaper than this at around £30, but upon inspection the reason became apparent - it had a crack in the front of the case..). However our blog sponsor, Retro Import Gamer, has come to the rescue by offering a sealed What's Shenmue in excellent condition for £24.75 which includes free postage (if you are within the UK). (28th October, 1999) . The eventual release date was December of that year. Yu Suzuki announced today that the release date of Shenmue III has been moved back to the second half of 2018. For me, this did not come as a great surprise, given the recent announcement that the team would not be participating in E3 this year in order to focus on development. Yu Suzuki: "By taking advantage of new technologies, we have discovered new possibilities and things we couldn't express in the previous games, and so the plan for Shenmue III has grown to be both bigger and more engaging than originally planned. We do, however, need more time to deliver this 'bigger and better' Shenmue to you" . Yu Suzuki: "By utilizing new technologies we have been able to discover new possibilities and expressions. In many ways, the game has become bigger and more beautiful than I initially expected. We do, however, need more time to deliver the game to you". When you listen to the video, you may notice Yu uses the words "power-up" to express the enhanced plan for Shenmue III! Yu finishes by letting us know that more information about the rescheduling will be coming in the June Kickstarter Update (which should be at the end of the month if the usual schedule is followed). 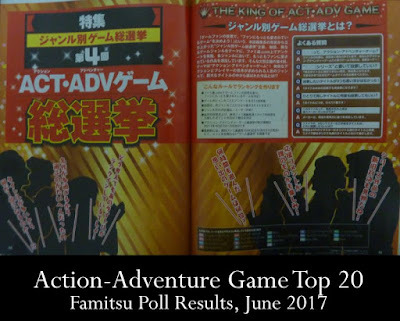 The results of the recent Famitsu Online Poll for the category of Best Action-Adventure Game have just been published in the Weekly Famitsu magazine. The poll questions were in Japanese but was open to anybody, and votes could be made for any game on any type of hardware. 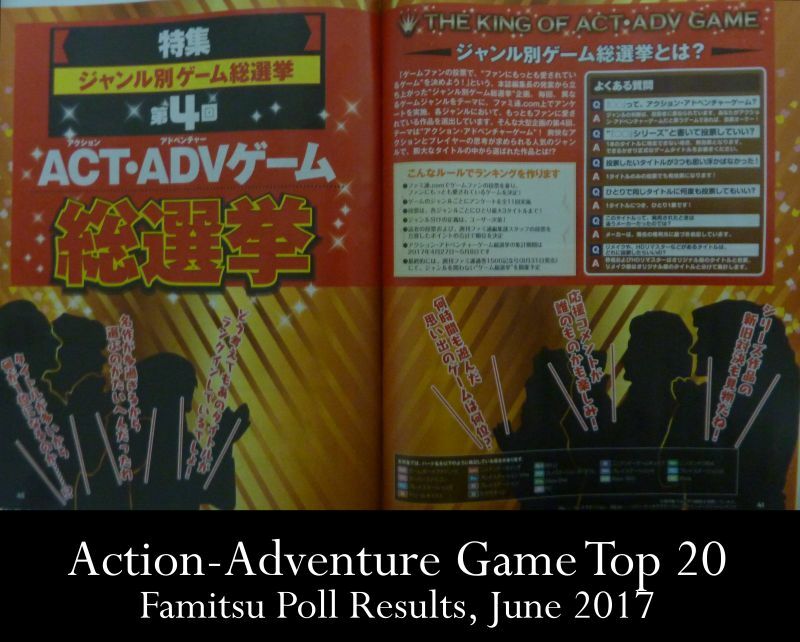 Polls are being run for a total of 11 categories, with the Action-Adventure Game category being the most fitting for the Shenmue games. I don't think it is giving away too much to reveal that Shenmue has rated superbly! I picked up a copy from my local convenience store today and have translated the most interesting parts, so let's look at the detailed results to see exactly how high a rank Shenmue reached. Also watch for the bonus surprise at the end!